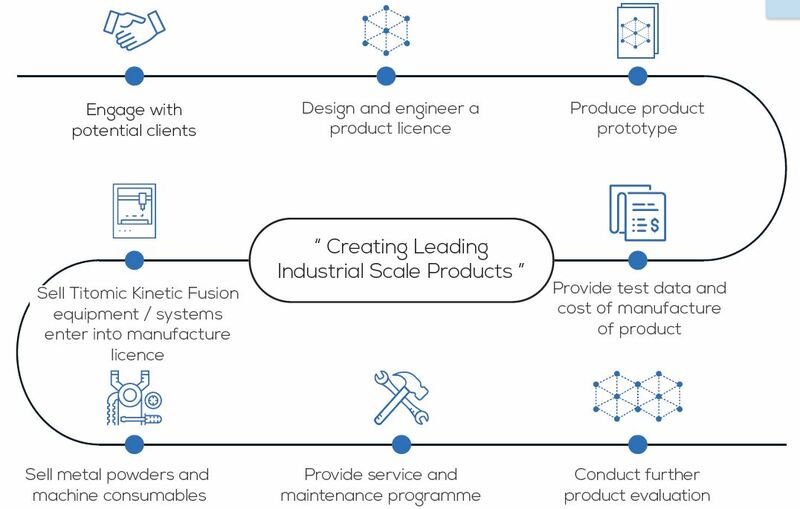 Titomic (ASX: TTT) hold exclusive rights to commercialise technology associated with an additive manufacturing process referred to as Titomic Kinetic Fusion. This patented process was developed between the CSIRO and Force Industries. It involves the “application of cold-gas dynamic spraying of titanium or titanium alloy particles onto a scaffold”. Kinetic forces are used to bond particles together, creating the basis and shape of customised near-finished parts or products. The cold spray technology, which is versatile across a number of applications, is marketed as a rapid manufacturing solution for “large, light and strong” componentry. Furthermore, Titomic’s process utilises unrefined or inconsistent powder particles that cannot be used by existing systems. This means a faster production time, corrosion resistance and substantially lower costs compared with other metal additive manufacturing processes. These alternatives use consistent powders and typically focus on smaller parts. Since Titomic Kinetic Fusion does not involve any welding, nor change to the nature of the material as would occur with heat or oxidization processes, the technology is considered appropriate for load bearing applications. Servicing and maintaining associated systems. The company is currently establishing R&D and production facilities for third parties to use under prototype product licensing arrangements. Manufacturing trials are anticipated to begin in Q4 this year. If prototypes are validated, clients will be offered manufacturing licenses. These licenses will allow clients to either purchase equipment from Titomic to complete manufacturing themselves, or outsource it to the company or an approved third party. Between the broker and institutional offers, 32.5m new shares will be issued at 20c each. In total, $6.5m will be raised. PAC Partners is fully underwriting the IPO, which subject to early closure, is open from August 17 to August 30. Thereafter, trading is expected to commence on a normal settlement basis from the 13th of September. 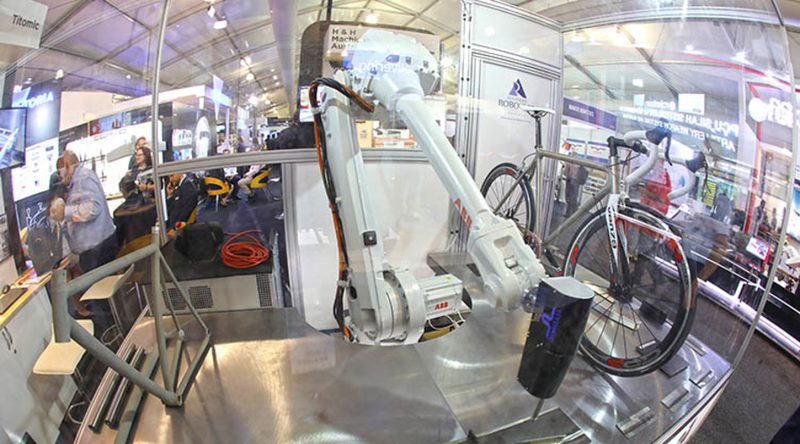 An IPO has been earmarked by Titomic to help the company commission its new R&D and production facility in Melbourne. The business plans to use this facility to develop parts with clients and enhance its sales and servicing prospects. More specifically, proceeds from the IPO are expected to be distributed accordingly: new equipment ($3.9m); employment costs ($893k); IPO costs ($779k); R&D ($752k); corporate administration ($110k); sales and marketing ($58k). Upon listing, Titomic will have a market cap of approximately $22.7m. Existing shares account for around 66.2% of the registry, or a total of 75m out of 113.3m. 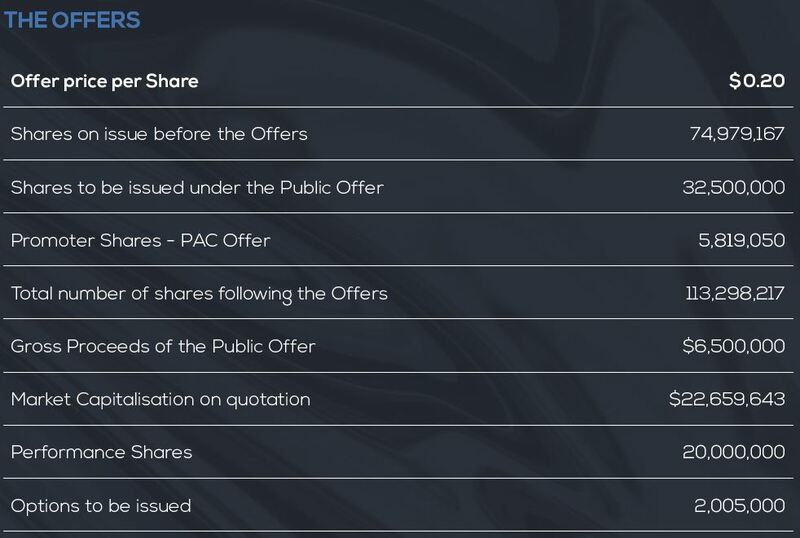 A total of 5.8m shares will be issued to PAC Partners as Lead Manager for the IPO. While there are no voluntary escrow undertakings, shares held by PAC Partners, and certain shares held by seed investors, promoters and other parties related to the business, will be in escrow for up to 24 months from listing. Directors have been issued 2m unlisted options which may be exercised at $0.30 each until 31 May 2020. Three of the company’s directors will have access to 20m performance shares, valid for 3 years after the IPO. The relevant criteria includes the company’s share price, market cap, quarterly revenue, and the number of product licenses issued.